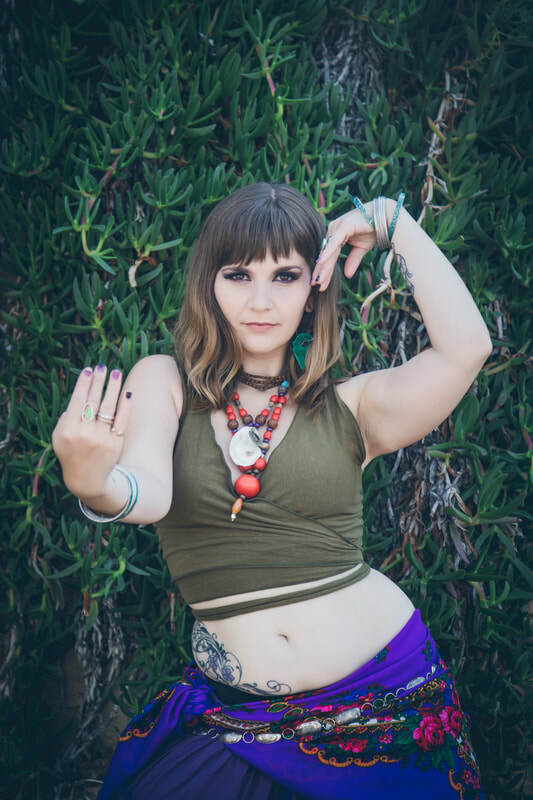 Violet Kind is bringing Fly Fusion® Belly Dance to Chicago! 10am-noon and 1-3pm | WTF is Fly Fusion®? improvisation format that completely looks like choreography with multiple, complimentary parts happening at once? If this seems like utter shenanigans, you wouldn’t be wrong. Let’s Fly! Our juicy slow vocabulary is full of challenges and new twists on classic dance moves. We’ll begin with our most fundamental concepts and dive into some of our classic combos to get you Flying on your own as soon as possible. If you like details and layers, you’ll dig this. this vocabulary are a seriously fun challenge. Rachel Brice, Ashley Lopez, and Zoe Jakes and she continues to push herself to grow and learn as much as possible. When Violet isn’t dancing and running a business, you’ll find her making stuff next to a giant coffee and her tuxedo cats, Bruce and Miles.